In case anyone is still under the impression that hand sanitizer is a good idea. Another example of how you're better off with soap and water. 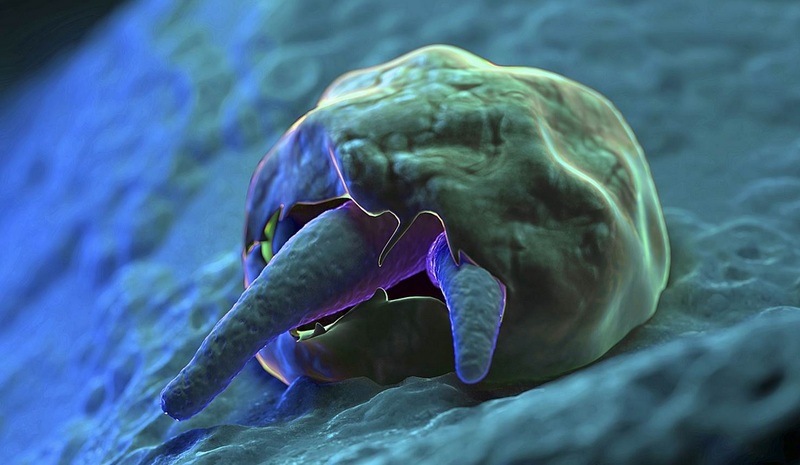 The highly contagious parasite is difficult to get rid of because chlorine doesn't always kill it, according to the Mayo Clinic. Alcohol-based hand sanitizer isn't effective against it, so washing hands with soap and water is considered the best prevention. And note, there's no need for "anti-microbial" soap. We don't need to be doing selective breeding of our microbes. They are a cute looking little blighter though ain't they!